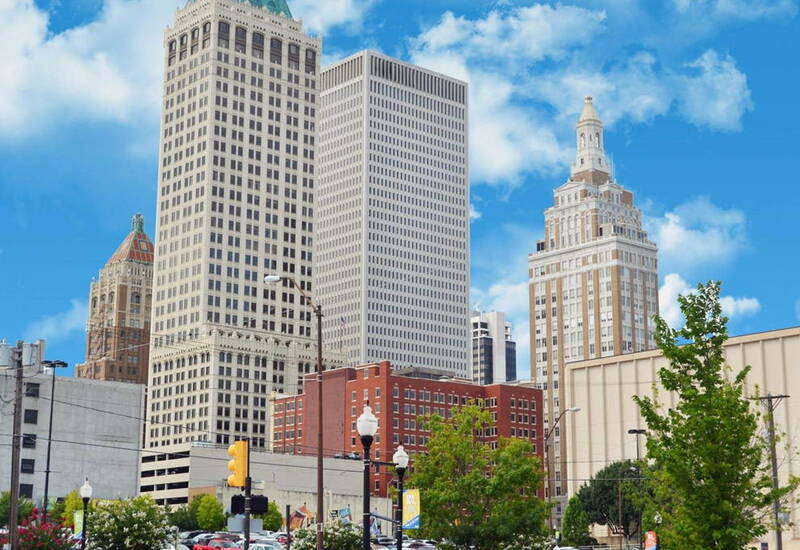 Hair Club Tulsa is located in the Executive Center which consists of two tall, brick buildings with black glass on the Southwest corner of 71st Street and Yale Avenue. Our building is the Executive Center 2 building, which is the 9-story (taller of the two) building to the north of the Executive Center 1 building. Once you have entered the building, the directory is to the left. Hair Club is listed as "Hair Club" on the directory. The office is located on the 3rd floor in suite 320. The sign on the door reads HC. Continue on South Yale Avenue to 71st St., and 7134 will be the building on the SW corner of the intersection.